Cash and accrual accounting are the two main methods of accounting, and knowing the differences between the two and how each one works will help you choose the best bookkeeping practices for your business. The biggest difference between cash and accrual accounting is the timing of when you record sales and purchases—that is, any transactions—in your accounts. Whereas cash accounting recognizes revenue and expenses when cash is debited to or credited from a bank account (i.e. when money changes hands), accrual accounting recognizes revenue when it’s earned and expenses when they’re billed (not necessarily paid). Cash basis accounting is a more immediate recognition of revenue and expenses while accrual accounting focuses on anticipated revenue and expenses. Cash accounting is primarily concerned with one thing: cash flow. The cash method is most commonly used by small businesses and for personal finances because of its simplicity. Revenue is reported on the income statement only when cash is received, and expenses are recorded only when cash is paid out. For example, if you invoice a client for $1,500 on July 1 and receive payment on August 5, you would record the income in bookkeeping for August because this is when the money was received and “physically” in hand. The cash method does not recognize accounts receivable or payable. It’s easy to determine when a transaction has occurred, and there is no need to track receivable or payables—pretty simple. It is also easier to track cash flow and how much cash your business actually has at any given time with this method. All you have to do is look at your bank balance. And because transactions aren’t recorded until cash is received or paid, you don’t have to pay income tax on any revenue until it’s in the bank. On the downside, cash basis accounting might exaggerate or paint a misleading picture of the health of your business. Although this method clearly represents cash inflows and outflows, it does not offer a reliable snapshot of a business’s budget and profitability. For example, having received several customer payments in a given month, you may think you’re knocking it out of the park with your cash-flow for that month, when in reality, your sales are actually down and what you’re seeing is a reflection of last month’s work. 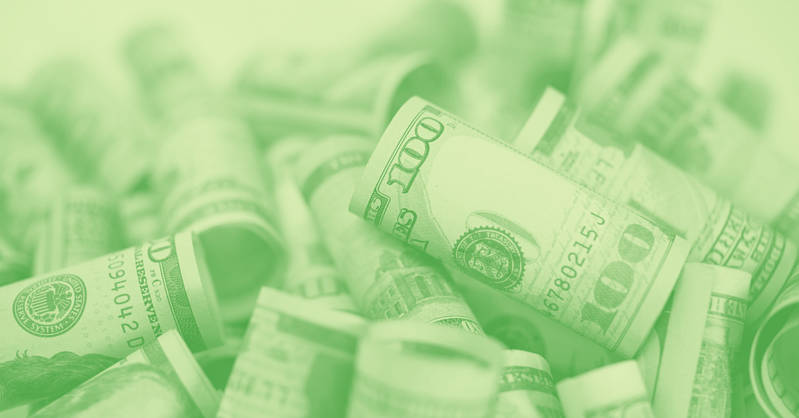 While the cash method shows positive cash flow, your business may still be unprofitable. Similarly, a business that is cash-rich but with large sums of accounts payable that exceed the business’s revenue stream may inaccurately appear very financially healthy when using the cash method of accounting. Rather than matching incurred expenses and earned revenues on a monthly basis, the cash method of accounting is only concerned with money that is paid and received, which can create challenges for your financial planning if you hope to have an accurate picture of your operating expenses and profit month-to-month. Lastly, cash basis accounting does not conform to GAAP (Generally Accepted Accounting Principles), which are the standards accountants use to prepare financial statement of U.S. companies. GAAP requires the use of accrual accounting in financial reporting of any incorporated companies. We’ve also found more and more states want financials prepared in a way that conforms to GAAP standards—this means using accrual basis accounting, which is considered to be the standard, and often more accurate, method of accounting for most businesses. With the accrual method, income and expenses are accounted for when they’re earned and incurred, regardless of when money is actually received or paid. This means that typically, revenue is recorded before money changes hands. Using the same example from above, and following the principles of accrual accounting, the $1,500 billed to a client on July 1 would be recorded in bookkeeping for July versus August, which is when you actually received payment. While accrual accounting doesn’t account for cash flow or funds that are available in your bank account, this method gives business owners a more realistic idea of income and expenses during any given period of time, painting a more truthful picture of the health of your business. Accrual accounting more accurately captures profitability compared to cash accounting. Like cash accounting, accrual accounting has its downsides. First, it’s more complex and requires more paperwork and resources. Additionally, because the accrual method ignores cash flows, the amount of cash coming in from your “sales” may not always align with the revenues you report on your books. For example, while your income statement may show thousands of dollars in sales, your actual bank account may reflect a much smaller balance if clients haven’t yet paid for your services. While your business may look profitable in the long-term, you could have a major cash shortage in the short-term (or even empty bank accounts! ), which can more easily be overlooked when using the accrual method. If you’re looking for a clearer picture of your business’s overall financial position, accrual accounting will give you just that. Every business, regardless of size, must decide how and when to record income and expenses. There are only two options: cash accounting or accrual accounting. For tax purposes, you must make this decision before you file your first business tax return. Once you have set your business accounting method, you typically must get IRS approval to make a change to the other method. Both cash and accrual accounting have advantages and disadvantages, and each method shows only part of the financial health of a business. Some businesses even use a hybrid method whereby they use accrual accounting for inventory and cash accounting for income and expenses. If you’re unsure of which accounting method is right for you, or if you have questions about what type of financials your state requires, please get in touch with us—bookkeeping is totally our bailiwick.